*Note: The information came from the Boothill Grave Yard brochure. I talked about "The Thing"? in previous posts, but now I can say I finally know what it is. 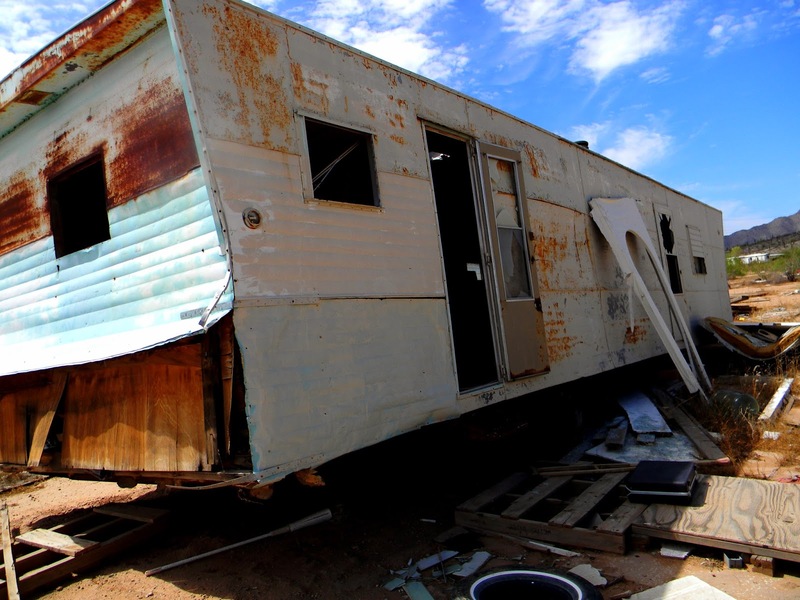 Along Interstate 10 on the way towards Benson from Tucson, the highway is riddled with signs that say, "The Thing?". It is a gimmick that works and gets people wondering what it is and to stop to take a gander. It is a gas station, souvenir shop with a Dairy Queen attached. You can find all kinds of Arizona novelties, shirts, jewelry, and gifts for friends and family. To see The Thing, you pay a buck and walk through a metal door and enter one of the three big metal sheds full on antiques and other odd items. In the first shed is old cars, buggies and a simulation of a torture chamber. The second shed had strange but interesting wood carvings along with antiques behind glass displays. If you ever get to Tombstone, say hi to Johnny and be sure to give him a tip. Sharon and I are on our way to Tombstone and then Bisbee. We plan to make a few stops along the way. I will be putting pictures here and on Facebook of this trip. 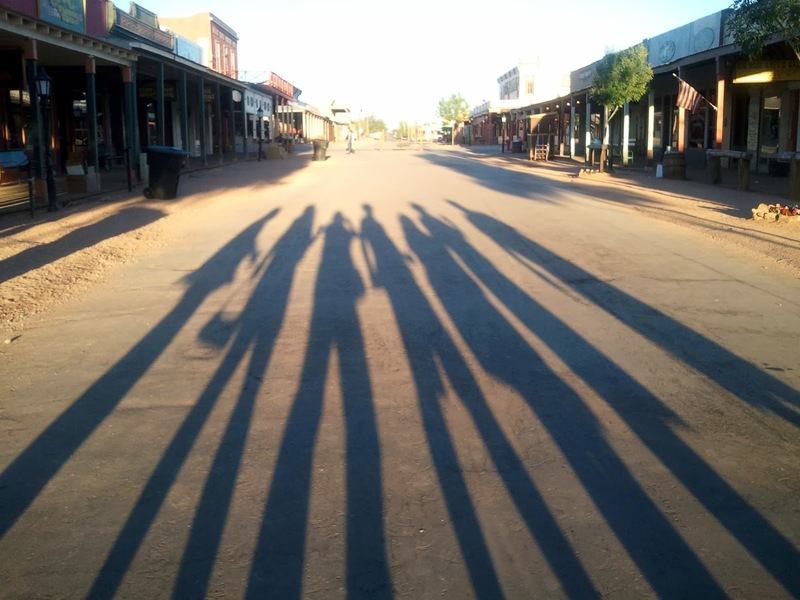 In Tombstone we will be walking the streets at night, and during the day, visiting the Bird Cage Theatre, OK Corral, and Boothill. We even plan to take another old time picture. I have been to Bisbee many times and stayed at the Copper Queen Hotel, twice. Both times I stayed in room 401 with some friends, and both times we had paranormal experiences. (Read my four part series of my second experience: part one,part two,part three, and part four.) Sharon and I are staying two nights at the Copper Queen Hotel in a room on the third floor. We plan to do a spooky night walk through Bisbee. I hope I have lots to tell you. At the edge of the historic district of Prescott, AZ, sits the Hassayampa Inn. To the west of the inn is the famous Whiskey Row and Yavapai County Courthouse. Across the street is the "legendary" Elks Theater which is currently being renovated. The building was constructed in 1927 and was known as the Hassayampa Hotel. When the town's residents wanted an up-scale place for visitors to stay, "hotel" was changed to "inn". For a buck a piece, the community was able to purchase a share of the inn. They also wanted it to be constructed of red brick in keeping which the Midwestern look. The name, Hassayampa is Apache for "the river that losses itself". The Hassayampa Inn is on the National Register of Historic Places and a member of the "prestigious Historic Hotels of America". Sitting at the bottom of a hill and amongst many other graves, sits the modest grave of the woman known as "Big Nose Kate". Her final resting place is at the Arizona Pioneers' Home Cemetery in Prescott, Arizona. Like many of the graves around hers, it is located with a simple marker bearing the name, "Mary K. Cummings", her real and married name at death. She came into this world as Mary Katherine Horony (or Haroney) on November 7, 1850 in Budapest, Hungary. Her father was a Hungarian physician and brought his family to the United States in 1862 after being appointed personal surgeon to Mexico’s Emperor, Maximillian. After the disintegration of Max’s reign of power in 1865, the family made their home in Davenport, Iowa in a largely German community. What is the Thing? Along Interstate 10, from Tucson, Arizona to El Paso, Texas, you see billboards with messages to tickle your interests. One will say, "The Thing? ", and a few miles more you will see "What is it?" and down the road a ways another might say "Mystery of the Desert". Located on a hilltop between Benson and Wilcox, Arizona, you will see a large red, yellow, blue filling station and gift shop. Inside you will find the typical southwest roadside gifts such as bows, arrows, moccasins, baseball caps, turquoise jewelry and The Thing? shot glasses, T-shirts and other items with the logo on it.